It's that time of year again-- college basketball is starting back up and fans are ready to see their teams. It's been a long off-season for some, and a time to celebrate for one lucky school. Even with major roster changes, Duke celebrated the National Championship win with their 'Countdown to Craziness' last Saturday. Pre-season number one UNC will hold its annual 'Late Night With Roy' to tip things off on Friday. 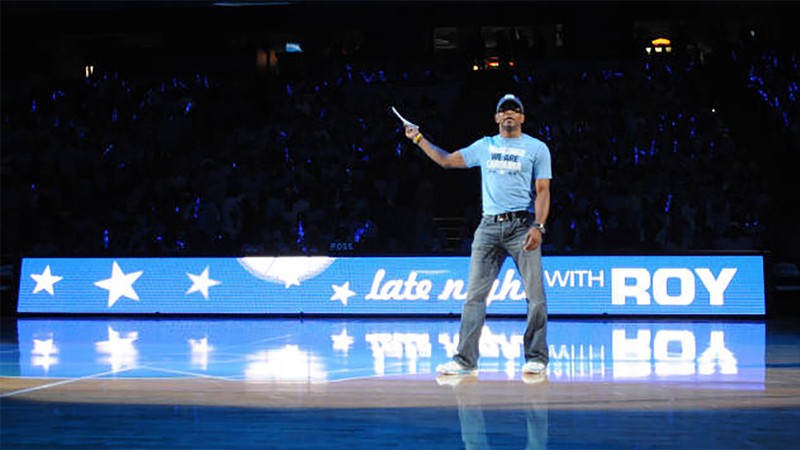 Ahead of 'Late Night,' UNC will honor former ESPN anchor and ABC11 intern Stuart Scott. A 1987 Carolina alumnus, Scott will be posthumously inducted into to the N. C. Journalism Hall of Fame, based in the UNC School of Media and Journalism. N.C. State planned a "Tailgate Tip-Off" for October 3 before the football game against Louisville, but it was cancelled due the weather. Instead fans will have a chance to see and meet the team after their November 8 exhibition game. Here's a look at some of the best moments in recent years from the team's opening events. 2005: Coming off a National Championship win over Illinois, the new recruits for the Tar Heels showed off. Danny Green debuted his dance moves in what would become a fan favorite. 2008: Many of the same players from 2005 busted a move on the court again, including Green and Tyler Hansbrough. This would turn out to be another National Championship team, the second for Roy Williams. 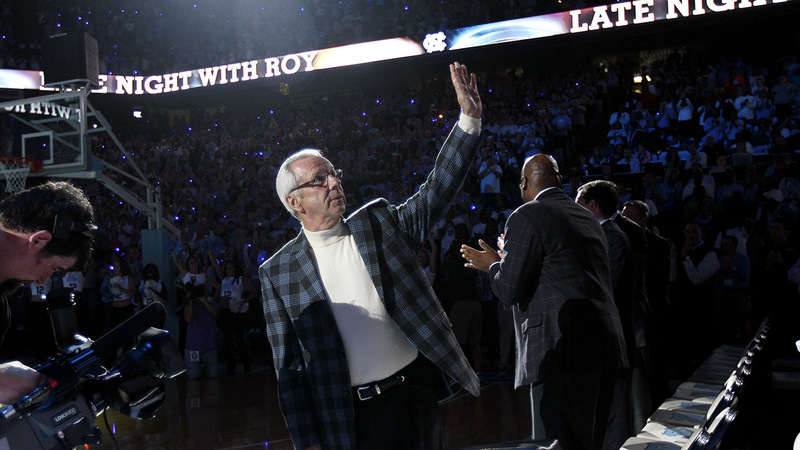 2012: Coach Williams had a heartwarming entrance when fans chanted his name during a standing ovation. Williams was coming back from a health scare - a tumor removed from his right kidney. UNC alumnus and longtime ESPN host Stuart Scott was there as well to greet him. 2010: A highlight every year for the 'Countdown to Craziness' is the dunk competition. In 2010, backup guard Andre Dawkins threw it down when he jumped over fellow teammate, Josh Hairston. Miles Plumlee performed the same dunk a year later. 2011: Duke coach Mike Krzyzewski is the winningest coach in Division I men's college basketball history, but in 2011 he was still closing in. He had just a few more wins to pass his mentor, Bob Knight, and the fans kept count for him. 2014: In another dunk contest, Duke freshman guard Grayson Allen showed his moves. Allen would end up becoming a hero in the National Championship win over Wisconsin. This year he was honored with a new award handed out by Duke - the 'One Shining Moment Award' for his title game performance. 2012: One 'superfan' got the thrill of his life when he was introduced at 'Primetime With the Pack.' Jake Robinson is known for his shirtless antics and he showed off his dance moves for fans. 2013: State held 'Operation Our State' to honor military service members. Players came out in uniforms and military members were in attendance throughout the night. 2014: The theme for 2014's tip off event was 'Throwback with the Pack.' Former players took the court at Reynold's Coliseum in a scrimmage game. The historic coliseum was set for massive renovations. They called it "Throwback with the Pack" this year.